I had to name this vest #1 since I love it so much I have already made a second one. I’ll photograph that one and put it on a later post. 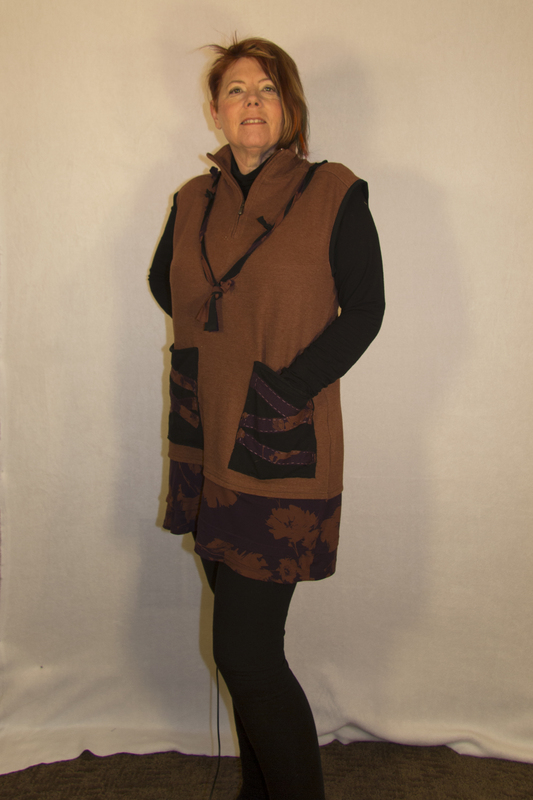 The idea started with a vest on Diane Ericson’s blog. 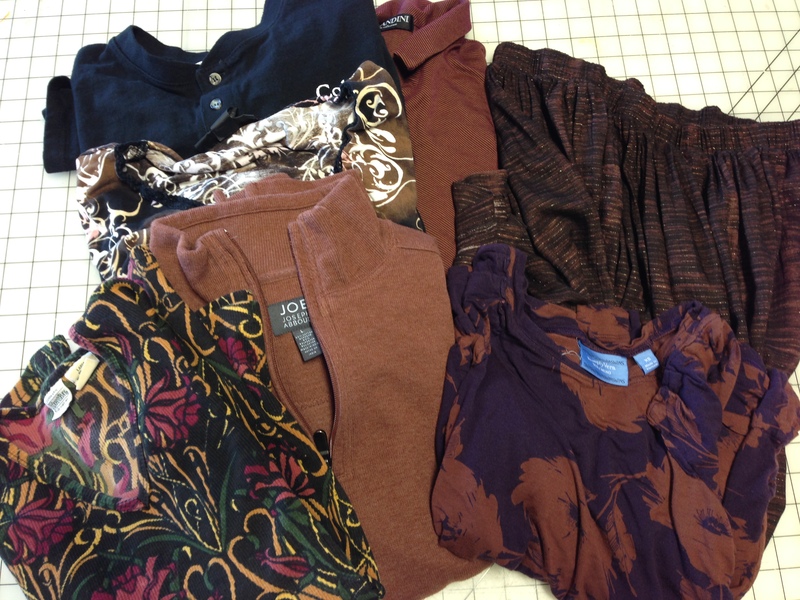 My BSF (Best Sewing Friend) Debra and I started with a trip to Goodwill. We met there and spent a half hour picking out men’s and women’s knit tops that color coordinated. Her stash was black, grey and blue. Size doesn’t matter, in fact the larger the top the more fabric you get. I spent about $24 and will be able to make at least 3 tops from this pile. The next day we met and started to chop and sew. This vest is made from the two tops from the lower right. We tried them on before sewing any side seams and made adjustments like darts if needed. The whole idea for this garment is to wear it over a turtleneck, so the fit is easy. 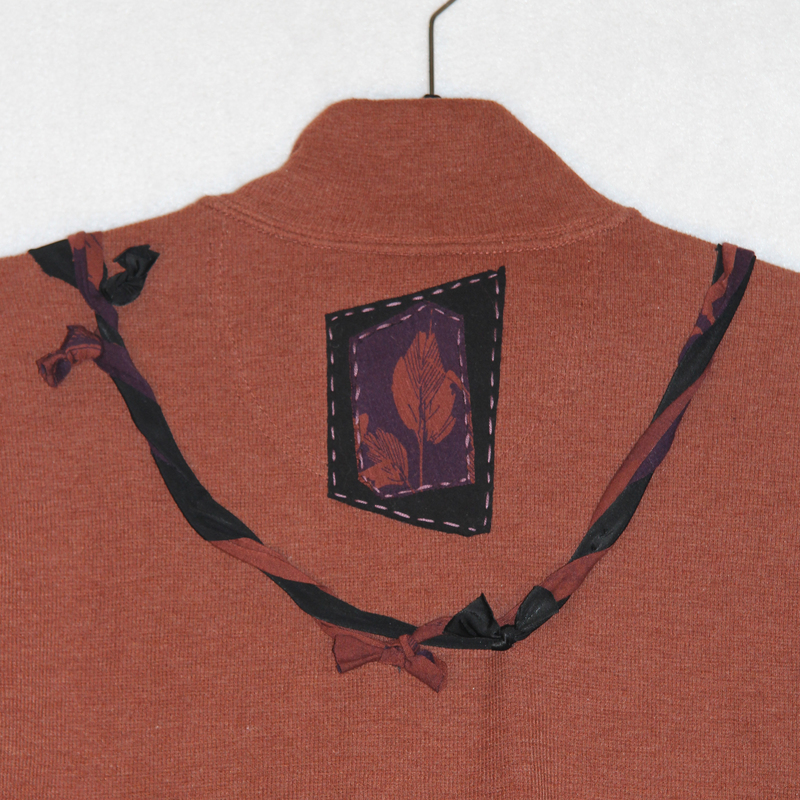 The original collar is from the man’s shirt so you get a zippered neck without any effort! 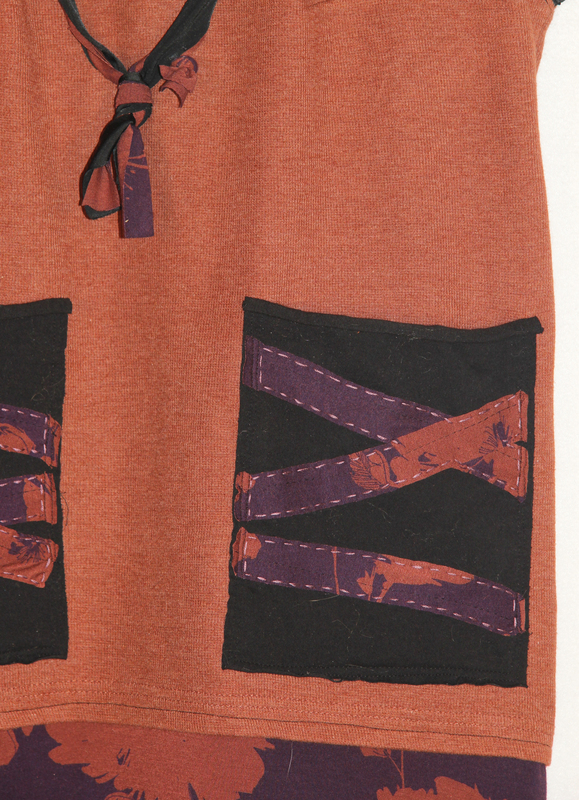 The black pockets and back detail consist of some black knit from my stash embellished with scraps from the women’s shirt. A little hand stitching and a sewn on “necklace” finished it off. Women’s clothes so rarely have usable pockets making this an awesome practical top for everyday wear.